Last night we observed 28 years together. Steve found a note from Mariya in his day planner. “Celebrate your anniversary,” she wrote. A fitting reminder—oh yeah! 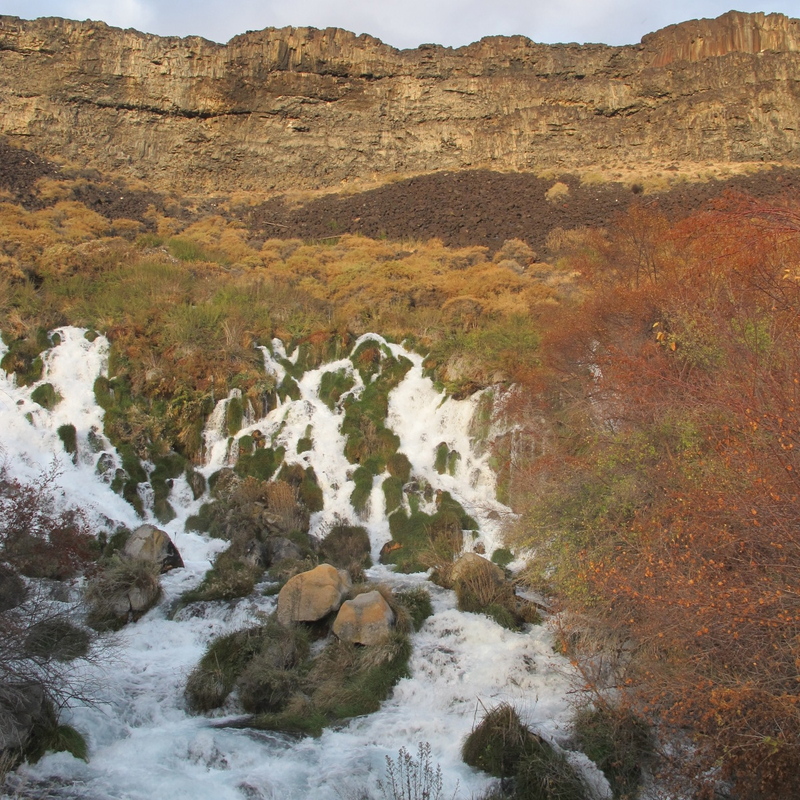 We were in Buhl, Idaho—after wandering the back roads of the Hagerman area, where underground aquifers carrying millions of cubic feet of water from the surrounding mountains explode into waterfalls and springs straight out from the cliffs. All of this water pours into the Snake River Canyon . . . the roadside signs remind us . . . deepened and carved by the ancient Lake Bonneville, which ruptured as glaciers retreated 11,000 years ago. Each day, when things are hard, and they are everyday, I ask myself: Why take this road trip? Certainly, I could sit in my living room and be much more comfortable. But once again, as this trip informs me, I see that some things are more important to me than comfort. That says something, because I like coziness as much, maybe more, than most people. Something in the restless Camarena-Lima/Cathro-Weston legacy drives a desire to witness the world and then to reflect it—and it is still strong enough to overcome the (many) moments of discomfort. Lucky for me, I found a partner who likes The Way of Travel (and the Way of Home) as much as I do, a Barnes-LaPlante/Schendel-Porten spouse, to be precise. Actually, just our names tell the birthright! We come from ancestors who traveled and married the Other; who found strangers more interesting than scary and who considered journeys as natural and normal actions. Here’s a story, illustrative of the whole adventure. We found a city park and pulled in. When the police came knocking at about midnight, Steve answered in his best squeaky old man’s voice. Cop leaves. I am not sure exactly how, but he’s satisfied, and we have another free place to sleep. I can’t help but smile into the dark. The mix of brazenness and stubbornness, relayed with a non-combative tone of voice can work wonders. I have seen it too many times to count. Many of our ancestors would be horrified, I’m sure; but some would clap with glee. So, why do we want to make such a journey–to wander the back-roads of America, this time going slowly south and east? There is no answer that I can give you if you don’t already know. First of all, Home is the only reason we can do this: our love of home and friends and family and community is our bedrock. The Road is alluring but challenging, for sure. I guess I like the ground-truthing process. When satellites tell us there are “wet areas” in the forest or on the plains, someone has to go walk on the land to make sure it really is wet, and how wet, and whether it is a bog or a marsh. That would be us. We are ground-truthing this American landscape, because you only know what the windmills look like on the ridge by seeing them, or that the narrow roads of south-central Idaho thread their way past dairy feed lots and Hispanic children riding bikes who disappear down into culverts when Steve stops to ask them directions. 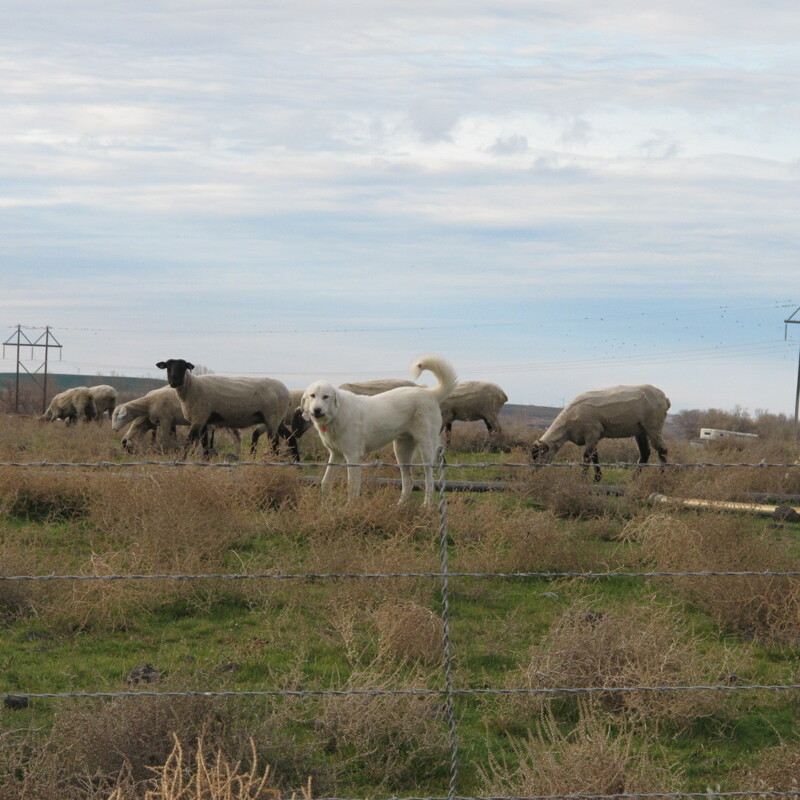 The map doesn’t tell us the truth of what tire-treads-to-asphalt convey: big white dogs guarding sheep, a frenzied stallion bouncing in his paddock, ancient saffron-colored cottonwoods and beef cattle gleaning through corn fields. We wave hello to our dear friends and family. You are what puts all of this into context. You are what makes the hard times bearable. And me to you and yours. You–friends like family–are what makes this trip doable. Wow. Shann. This is a right – on ….true…yes, it is THIS, post. Thanks for the insight…weaving words and thought into wonderful language. You brought me in…I read, but felt like I was listening…and nodded my head in..”yes.” We are packing. Soon after Thanksgiving we will be where the tires meet the asphalt…with the compass displaying S to “sun and 70″…and yes, Mexico. Keep on truckin’ …and writin’….. Thank you! I really appreciate that, Nan! You are about to be on your way, I will enjoy your blog, as always. Keep me in mine for Western Prince next year, subbing or we could talk about a steady connection during those double months.